Georgetown Holistic Faire – Readings by Christine on November 1st! 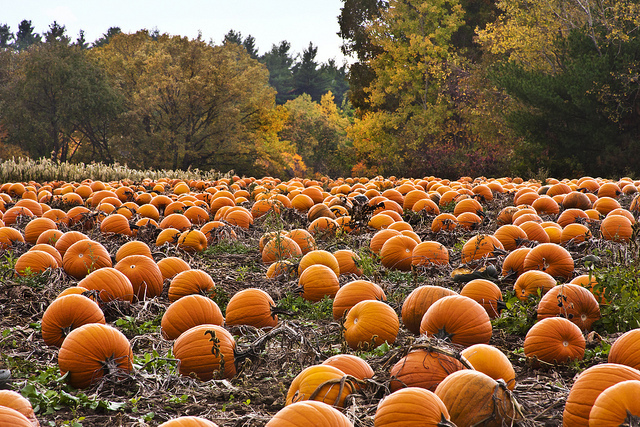 Pumpkin Patch. Liz West, CC License. You’re invited to the Georgetown Holistic Faire on Saturday, November 1, 2014. I and many other psychics, coaches, musicians, and healers will all be in attendance. Entry is free! For $1.00 you get 3 tickets towards a door prize raffle! 333 N. IH-35, Georgetown, TX 78628 – Note that the La Quinta Inn is actually on the southbound access road, even though the street address reads north. Current rates apply (See services). I look forward to seeing you there! To learn more about the event, or our hosts, Lyn and Christian Schroeder, please see the listing on the Austin Alchemist website. This entry was posted in Events and tagged Georgetown, psychic fair on September 29, 2014 by christinethepsychic.